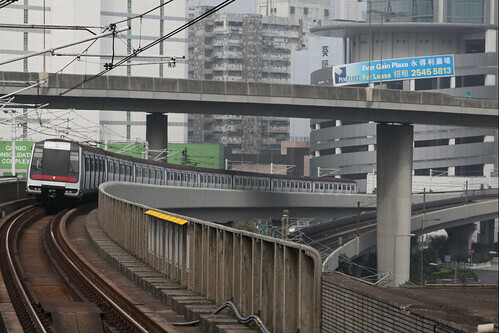 Here is an interesting find from Wikipedia – a MTR diesel locomotive hauling a freight train on the Chinese side of the border at Shenzhen, photographed by Baycrest back in February 2010. 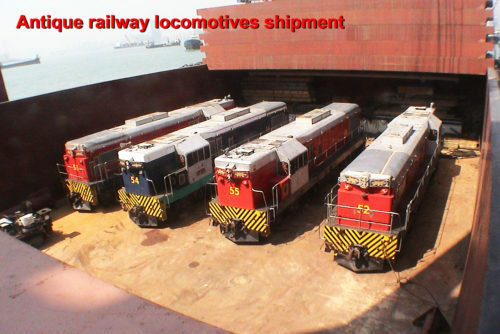 I’ve written about the story of the Kowloon-Canton Railway EMD G12 diesel locomotives before – but what about a closer look at their Australian connection? Building a new railway is a complex operation, involving large quantities of raw materials, and a fleet of heavy construction equipment. All of these need to come from somewhere, which presented difficulties for the MTR when building the Lantau Airport Railway in the 1990s through West Kowloon. 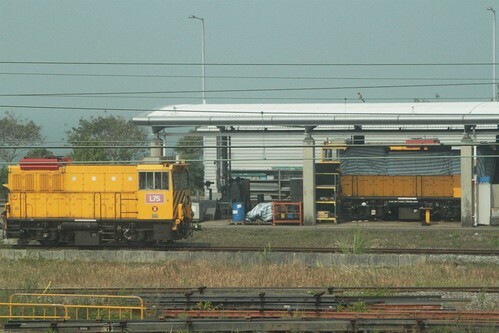 The solution – a temporary railway depot at Mei Foo.